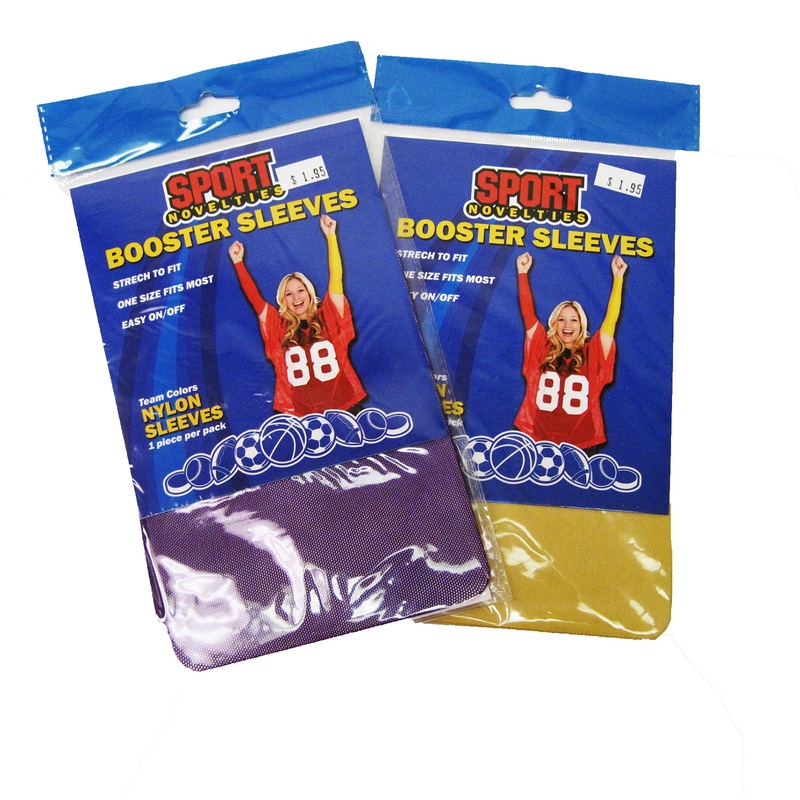 Make game day extra special with these nylon booster sleeves. They stretch to fit most and are easy on/off. Your choice of purple or gold. One piece per pack.